Retail.Global unites all local and international ecommerce experts, companies and services to boost global sales for retailers and manufacturers by own brand online store. Ecommerce is the big market that change the retail in all countries. 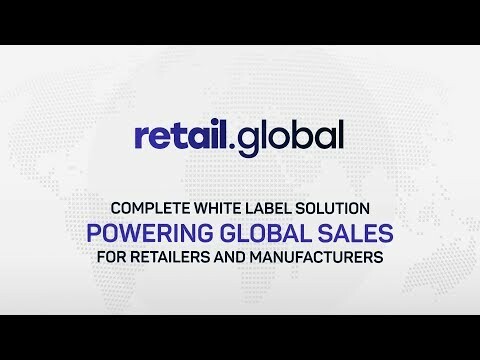 Retail.Global is complete white label solution powering global sales for retailers and manufacturers. 10+ years experience team, 10+ enterprise clients and revenue stream, now on global scale. With Retail.Global Local Retail Become Global. Retail.Global - Complete White Label Solution powering global sales for retailers and manufacturers. Based on working ecosystem with clients and partners and going to expand global. Retailers and manufacturers have to buy many software solutions for local and global ecommerce sales, hire expensive employees and manage many process that differ from common offline retail: platforms, delivery, payment, returns, products logistics, content, support, advertising, marketplaces, merchandising, retention, testing, integrations, analytics, strategy and global expansion. As result it very expensive, long time to implementation, no revenue growth and model that will have no future for company. Expand ecosystem to global markets add blockchain advantagies: smart contracts, crypto and tokens usage in supply chain, payment and loyalty rewards program. As a result, retailers get a competitive high-performance business solution for local and global online sales with the most competitive revenue sharing business model. Country offices: Russia, Germany, England, France, China, India, Japan, South Korea. How it works for brand: request, sign management company from Service Marketplace, make intergrations, store and start sales from local to global market. Company works on big markets of $4,500bln Retail e-commerce sales (2021F) and $622bln of Cross-border retail e-commerce sales (2022F), it gives opportunity for fast growing. C1. Serious allegations that this is an ICO exit scam have surfaced. C3. I would like to invite Pavel Zhdankin to respond to the allegations by 31 Jan 2019. C4. I may revise my ratings thereafter. Strong team but I think the concept needs refining. ICO Fundraising & Release of Platform (beta) for Russia Market with global sales. Germany & Loyalty Rewards Token System. Release of Platform for Germany market and Loyalty Rewards System on Tokens . VC Fund & Spain, Italy, France. Retail.Global VC Funding Session, Release of Platform for Spain, Italy, France. Release of Platform for China and India.